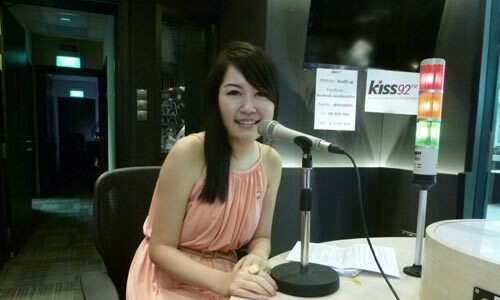 Catch Me on Kiss92 FM, Every Monday 8am, Starting Oct 22! I’m so excited about this news that I’m simply BURSTING to share this with all of you right now! I’ve been invited to be a regular on Kiss 92FM‘s Morning Show!! 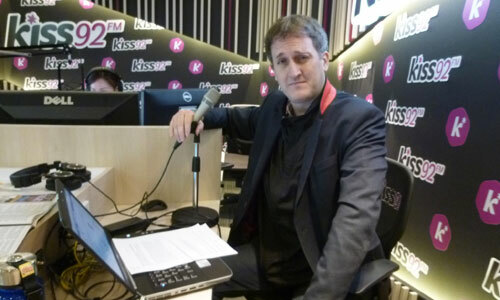 What is Kiss92? It is an English-language radio station based in Singapore which plays music ranging from 80’s, 90’s, Y2K to current hits. Started since a few months ago, it is Singapore’s first new radio station in 20 years, and is rocking a lot of new listeners from all walks of life (even though it is primarily targeting females from 30s to 50s)! I’ve been invited by Maddy (Barber), the beautiful and lovely host of the Morning Show (which airs Monday to Friday), to join them as a regular on a weekly basis, starting from next Monday (Oct 22, 2012) onwards! Besides Maddy, I’ll be surrounded by co-hosts Jason and Arnold. I’ll sort of be playing the role of the resident personal development “guru”, talking about various personal development topics each week, discussing them with the hosts (and listeners), and sharing my take on them. 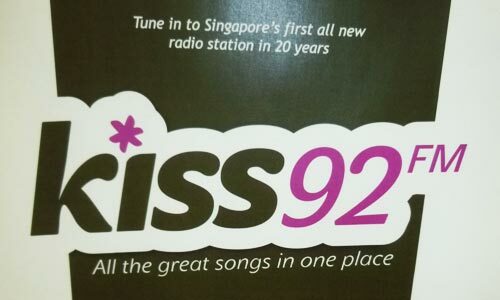 A launch poster of Kiss92 in the Kiss92 Office. Lovely! I can’t tell you how psyched I am of this opportunity. This is such a great platform to reach out to new people out there, enable more people in their path of growth, and drive further awareness of PE. Myself in the studio, recording my first segment with the folks. 🙂 Sorry if I looked a little tired as I had to wake up at seven (only four hours of sleep) for the recording! Been having quite a hectic schedule the past few days, not that I’m complaining at all! The crew is absolutely a ball of fun. I love Arnold’s seriousness, Jason’s witty banter, and Maddy’s joyful and bubbly spirit! I felt so at home sitting in the studio with all of them. My first episode will be next Monday, Oct 22, 2012, at 8am* (Singapore time). Those not from Singapore, don’t fret—you CAN listen to the show too! Kiss92 has a function to listen to their show LIVE via their website, which can be found in the top right hand corner of their website. Simply log in every Monday, 7:15am* (Singapore time). Work out the equivalent timing in your country with the world clock. Set it in your calendar so you don’t forget. In my first episode, I’ll be discussing the topic of bucket lists, its importance, the possible things we want to do before we die, and what to do after creating YOUR bucket list. For some reason, we started talking about me being single and the kind of things I look for in a guy during the show, ahaha! (As being in a loving relationship with my special someone is part of my bucket list.) I’m not sure if they will be editing that part out in the final cut. Regardless, you have to tune in and listen to the segment. It will be worth listening to, I promise. I have a lot of exciting topics lined up in subsequent episodes, so please, tune in to Kiss92 every Monday from now on, to hear me live on air with the other three very lovely, very exciting co-hosts! 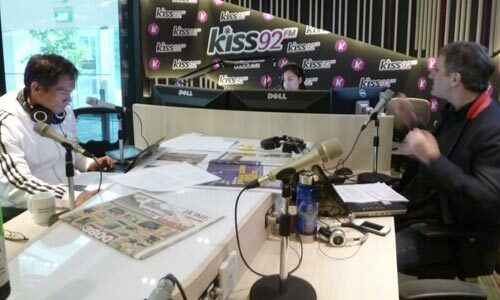 If there are any topics you would like me to cover, share your feedback to Kiss92 via their Facebook and Twitter! If you would like me to share more inspirational sound bites on the radio, then let them know as well! This will let them know if they should continue the inspirational / personal development sound bites segment on a long-term basis. Your feedback will be invaluable to me. So that’s it! 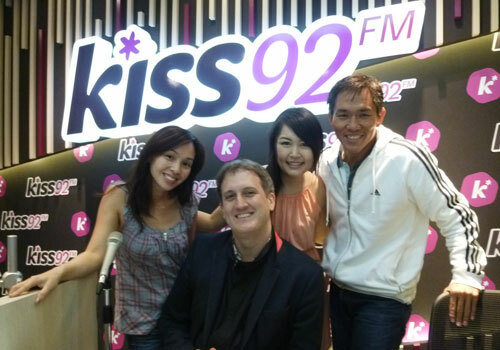 😀 Tune in to Kiss92 on Mondays, 8am (Singapore time / GMT +8), with effect from now. PS: I had a long lost friend suddenly contact me out of the blue yesterday asking if I was going to be on Kiss92. Surprised, I said, “Yes! How did you know?” He said, “I heard them advertising your segment on the radio.” “Haha, cool!” I thought. It’s amazing how interconnected everything is starting to be! Update: The segment is now over! 🙂 Listen to some of my episodes in the media section.